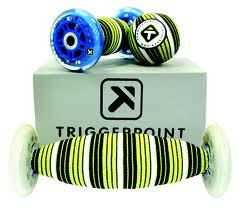 Join us for our Roll and Recover Clinics featuring Trigger Point Therapy and Addaday mobility products! Discover why these products are an in-house favorite for releasing tight muscles, self massage, faster recovery and more. If you have a Trigger Point Kit or Addaday product, bring it and if you don't have one we'll share. Either way bring a towel or yoga mat and water for this seminar.